Additional Info. 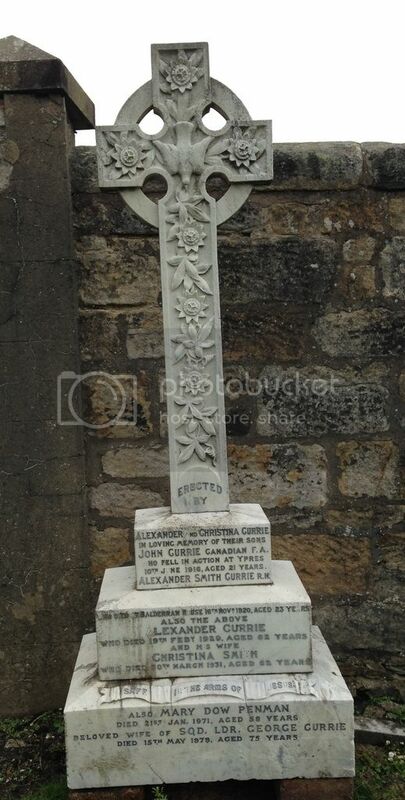 Son of Alex and Mrs Christina Smith Currie of Balderran House, Auchterderran, Cardenden, Fife. Died Balderran House of Pulmonary Tuberculosis from which he had been suffering for 15 months. Brother John also fell.